Masked gunmen shouting “Allahu akbar!” stormed the Paris offices of a satirical newspaper Wednesday, killing 12 people before escaping. It was France’s deadliest terror attack in at least two decades. In a grotesque twist of the saying “live by the sword, die by the sword”, an Islamic State executioner in Syria who carried out beheadings for the jihadist group has been found with his head cut off. The body of Egyptian-born Abu Zaid al-Masri, the deputy emir of the feared al-Hesbah (or Hisbah) force in the eastern province of Deir al-Zor, was recovered near a power plant in al-Mayadeen city, according to the Syrian Observatory for Human Rights. Machine-gun wielding battle robots are going to be tested in Russia’s Astrakhan region for use by the country’s Strategic Missile Forces, the Interfax news agency reported Friday. General John Allen, 61, has served as special presidential envoy for the Global Coalition to Counter the Islamic State (IS under US President Barack Obama since September. He previously served for three years as the deputy commander of the US forces in Afghanistan and Iraq. In an interview with SPIEGEL, Allen uses the Arabic term “Daesh” when referring to IS in order to prevent having to say the word “state”. From the translation of a Babylonian “Ark Tablet” to the resurfacing of a skeleton from Ur in a museum basement, 2014 was a year full of exciting Biblical archaeology discoveries and new interpretations. As we ring in the New Year, let’s take a look back at the top 10 finds that thrilled us in 2014. Koinonia Institute presents its 2016 Strategic Perspectives Conference in Coeur d' Alene, Idaho. Intel and insight to understand the times. Ron Matsen – Another Jesus? This offer will expire in 7 days. Talk that started in 2011 about Greece leaving the EU has started up again. Greece has not been very anxious about continuing with an austerity program to get their financial house in order. That program has caused a rise in unemployment, a cut in government benefits and a dramatic increase in popular discontent. The austerity program was part of a deal Greece made with the EU to get additional credit to keep the country afloat. But as austerity began to make an impact, people began to feel that it would be better to go it alone, rather than stay under a system Greeks belief is draconian. If Greece does leave the EU, the next step for them is bankruptcy. Countries can’t actually go bankrupt, they just repudiate their debt. If Greece does leave the EU, they would convert back to the Greek drachma, a currency they have been using for centuries. With the drachma, the Greek government could manipulate their monetary system as they see fit. The problem they would have is that the loans they took out would still be in Euros. Greece would not be possibly able to pay back their Euro loans in drachma since the currency would be devalued by the EU due to their financial condition and be virtually worthless. Germany, who carries the bulk of the debt would take a big hit if it would happen. In 2012, the problem of a Greek departure was solved with a modest amount of debt being written off and the Greeks knuckling down to year after year of grinding recession. Since then, the financial markets have stopped worrying about a Greek exit from the euro — the so-called Grexit. 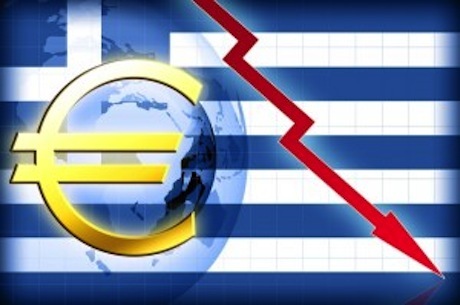 However, the Grexit has not been cancelled, just postponed. It was not possible for Greece to get out of the EU in 2012 or 2013. In 2015, however, a trade and budget surplus will mean the country can leave if it wants to. The locks will have been taken off the doors — and it would be rash to assume Greece won’t walk out. If Greece actually follows through this time, Germany believes euro zone could cope with it. Both Chancellor Angela Merkel and Finance Minister Wolfgang Schaeuble believe the euro zone has implemented enough reforms since the height of the regional crisis in 2012 to make a potential Greece exit manageable, according to Der Spiegel. “The danger of contagion is limited because Portugal and Ireland are considered rehabilitated,” the weekly news magazine quoted one government source saying. According to the report, the German government considers a Greece exit almost unavoidable if the leftwing Syriza opposition party led by Alexis Tsipras wins an election set for Jan. 25. The Greek election was called after lawmakers failed to elect a president last month. It pits Prime Minister Antonis Samaras’ conservative New Democracy party, which imposed unpopular budget cuts under Greece’s bailout deal, against Tsipras’ Syriza, who want to cancel austerity measures and a chunk of Greek debt. German Finance Minister Schaeuble has already warned Greece against straying from a path of economic reform, saying any new government would be held to the pledges made by the current Samaras government. How this plays into KI Strategic Trends is that a Greek exit would inevitably result in a economically weakened EU. That economic weakness would result in political weakness. A weakened Europe is less of a threat to Russia, which allows Russia to concentrate on its Southern flank — Turkey, Syria … and Israel. Should Greece leave the European Union? Some would say, “Charlie Hebdo” was “asking for it.” They have had a history of holding many groups up for satire. Not only Muslims, but Roman Catholics, homosexuals, left-wingers, right-wingers, no one was safe. It was in recent times though that Islam came increasingly the object of their ridicule. 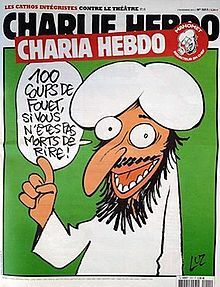 In February 2006 Charlie Hebdo published a series of 12 cartoons depicting the Prophet Muhammad which had been featured in the Nordic daily “Jyllands-Posten” the previous year. The Danish publication triggered anti-Danish protests across the Muslim world. It was the start of the story that would ultimately lead to the magazine becoming a prime terrorist target. Depictions of the prophet are strictly taboo in Islam. The French Council of Muslim Faith (CFCM) and the Grand Mosques of Paris and Lyon had unsuccessfully attempted to sue Charlie Hebdo to prevent publication of the images on the grounds that they were offensive to France’s Muslim community. Their failure, however, led to much more serious repercussions. As the debate over the publication of the images intensified in France, a group of 12 prominent writers including Salman Rushdie and Bernard-Henri Levy published an article in Charlie Hebdo speaking out against Islamic “totalitarianism”. By publicly denouncing Islamism, the magazine became a target of threats forcing some staff to be placed under police protection. But the attempt at intimidation failed. In fact, it had the opposite effect, emboldening the magazine’s staff. This time, however, the response was not just threats. A day after its publication the offices of the magazine were firebombed and its website hacked. Fortunately, no-one was injured. Stephane Charbonnier, the magazine’s editor-in-chief, responded as robustly as ever. In response he set out to publish the most controversial editions yet. 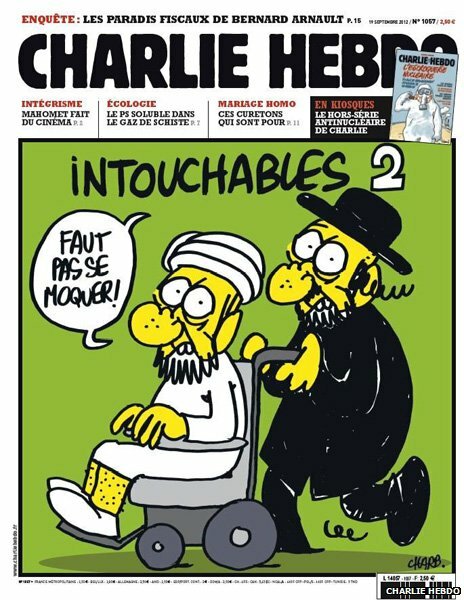 They produced an issue with a cover showing a Muslim man in a wheelchair pushed by an Orthodox Jew under the title “Untouchables 2”, an imaginary sequel to a recently released French film. The pair are saying (rough translation) “You must not mock us!”. The publication was condemned by the French foreign minister Laurent Fabius as a “provocation”. The French government was so concerned about the possibility of a backlash in Muslim countries, following the response to the 2006 cartoons, that it decided to temporarily close 20 embassies as a precaution. Yet Charlie Hebdo was not done yet. 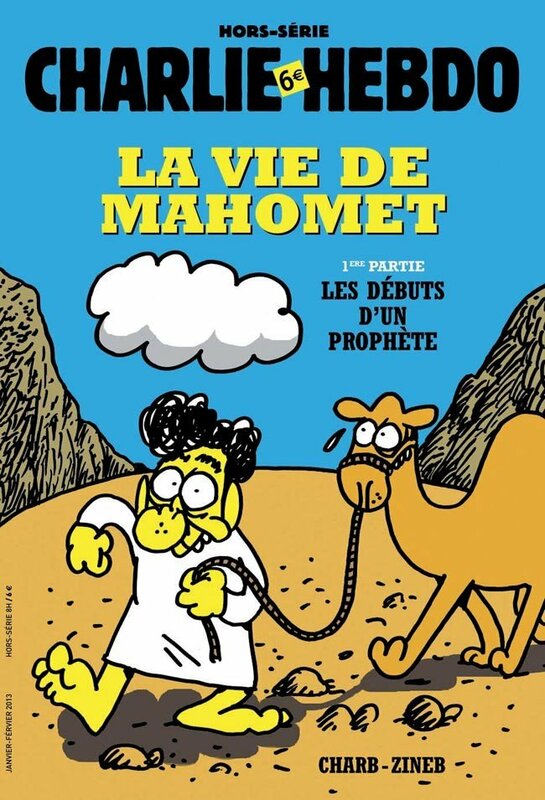 In 2013 the magazine went further still, publishing what it called a “halal” comic book on the life of Islamic prophet Mohammad. The book was created with the help of a Islamic Franco-Tunisian sociologist and Charbonnier claimed, somewhat implausibly given his experiences, that there was no reason why anyone would take offense. Even those who have defended the magazine’s right to publish have admitted the articles have been crass. But Charbonnier told Al Jazeera in a 2012 interview, that his argument has always been that free speech must be upheld and cannot be bounded by what will and will not cause offense. Today, the Charlie Hebdo story took a gruesome turn as two gunmen burst into its offices and shot dead at least 12 people. They shouted “we have avenged the prophet!” according to Sky News. While Christ teaches that we are to forgive our transgressors seventy seven times (Matthew 18:22), it should not surprise anyone that Islam not only condones violence but actually commands it. Fight and slay the pagans [i.e. infidels] wherever ye find them, and seize them, beleaguer them, and lie in wait for them in every stratagem of war. What are Muslims supposed to do to the people who resist Islam? Their punishment is — execution, or crucifixion, or the cutting off of hands and feet from the opposite sides, or exile from the land. The differences between Islam and Christianity are clear and obvious. Given Australia’s strong banking system, what would need to happen for it to fall and submit to a One World Order of finance and banking? 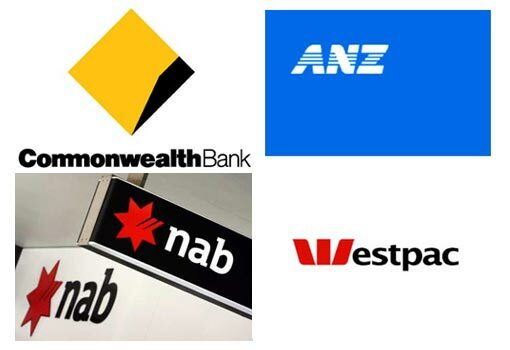 In order for Australia’s strong financial and banking system to fall as indicated by Revelation 13:16–17, there would need to be a Governmental deregulation of the country’s banking system. The second beast forces all people—important and unimportant, rich and poor, free and slaves—to be marked on their right hands or on their foreheads, so that no one may buy or sell unless he has the mark, which is the beast’s name or the number of its name. The modern plan for a global government began in 1390 with the Freemasons. In 1773, the first global plan was prepared by the Rothschilds. It was May 1, 1776, when Adam Weishaupt, who had studied to be a Jesuit priest, and who was also a Freemason, formed an organization called “The Illuminati,” and in July 16, 1782 began an alliance between Freemasonry and the Illuminati. The leadership behind the Freemasons and the Illuminati organizations were aware that the way to world control would require economic control. The London-based Rothschild Group has two centuries of banking and financial management experience behind them with services in over 40 countries. To date, the Rothschild’s own or control all but three central/reserve banks. A list of Rothschild owned banks can be found online but for the purpose of this article, the Reserve Bank of Australia (RBA) is listed among those controlled by the Rothschild group. The Basel Committee is the primary global standard-setter for the prudential regulation of banks and provides a forum for cooperation on banking supervisory matters. Its mandate is to strengthen the regulation, supervision and practices of banks worldwide with the purpose of enhancing financial stability. The present day Chairman of the Basel Committee is a Member of the Illuminati and “Committee of 300”. Previous Chairmen are also listed as Members of the Illuminati and “Committee of 300”. The current CEO of the IMF Christine Lagrade made news in January this year. Her speech at the US National Press Club following the IMF’s annual review of the US economy, gave rise to her possible connection to the Illuminati. The Group of Twenty (G20) Finance Ministers and Central Bank Governors was established in 1999 to bring together industrialized and developing economies to discuss key issues in the global economy. The inaugural G20 was held in Berlin, and the 2014, was held in Brisbane, Australia. The G20 is made up of the finance ministers and central bank governors of 19 countries: Argentina, Australia, Brazil, Canada, China, France, Germany, India, Indonesia, Italy, Japan, Mexico, Russia, Saudi Arabia, South Africa, South Korea, Turkey, the United Kingdom, the United States of America. The remaining seat is held by the European Union, which is represented by the rotating Council presidency and the European Central Bank. The Bilderberg Group founded in 1954, by Prince Bernard, of the Netherlands, who is also a member of the Illuminati. The objectives of this group is for One World Government with a single global marketplace, policed by one world army, and financially regulated by one World Central Bank using one global currency. The Committee of 300, control the world’s largest financial institutions and governments. The power behind the Committee of 300 is the Anglo-Jewish cousinhood that dominates the financial and political systems of the world. The Rothschild’s are included in this cousinhood. Their purpose is “A One World Government” and one unit monetary system, under permanent non-elected hereditary oligarchists who self-select from among their numbers in the form of a feudal system as it was in the Middle Ages. In this One World entity, population will be limited by restrictions on the number of children per family, diseases, wars, and famines. The Committee of 300 now call themselves “World Government Founders for the NWO”. The Committee of 300 uses a network of roundtable groups, think tanks and secret societies, which control the world’s largest financial institutions and governments. Listed first on the 21 Goals of the Illuminati and the Committee of 300: A One World Government, New World Order with a unified church and monetary system under their direction. And 18th on that list of 21: To give the fullest support to super-national institutions such as the United Nations, The International Monetary Fund (IMF), the Bank of International Settlements, the World Court and, as far as possible make local institutions less effective, by gradually phasing them out or bring them under the mantle of the UN. Where are we at today? Sunday 14 December 2014, The Telegraph reported that the United Nations has said the dollar should be replaced with a global currency, proposing the biggest overhaul of the world’s monetary system since the Second World War. Australia has a strong and stable banking system where there has been, no lost deposits in an Australian bank in 100 years. Even during the severe 2007 financial crisis, when banks were failing around the world, Australia’s banking system remained stable and open for business. Since 2004 the Reserve Bank of Australia (RBA) publishes every six months, information on the assessment of the nation’s stability. It is consistently reporting that Australia’s banking system is in a strong position, particularly relative to most other countries. In 2009, the G20 leaders activated the IMF’s power to create money and begin global “quantitative easing”. In doing so, they are putting a de facto world currency into play, and will be outside the control of any sovereign body. The G20, of whom met in Australia this year, made new banking rules for the next financial calamity. These new rules mean banks will be allowed to take money from depositors and pensioners globally. These new laws have been agreed upon and are ready to be implemented. According to a leaked WikiLeaks document reveals the current Abbott government is pressing ahead with secret trade negotiations aimed at bringing about the deregulation of Australia’s banking and finance sector. Experts warn that the proposed changes could undermine Australia’s capacity to independently respond to and weather any future global financial crisis. Australia’s strong financial and banking system will fall in order to submit to the overall plan of the One World Order of banking and finance, as we will see a deregulation of Australia’s banking and finance sector. All that is needed is a financial crisis and fear of another Great Depression to usher in this one world economic system and global currency. So keep on watching, because you don’t know the day or the hour. G20: what is it and how does it work? We solicit your prayers and support of this ministry. God Bless. This eNews is a reader supported ministry. If you would like to help support this effort, you can make your contribution here. If you received this email from a friend, you can get a FREE subscription by signing up at the K-House web site. You received this email by request from Koinonia House.